Do you remember that zig zag shaped flooring you used to find in your grandparents house? That is parquet flooring, and parquet is back on the comeback trail. Its distinctive geometric shapes are what makes it stand out from the crowd and give it its own identity. It’s unsurprising to hear that traditional, old school flooring is back on the up, as vintage is a current trend as is incredibly popular, not just in the flooring market, but in the home and clothing market, and even the re-emergence of vinyl records. 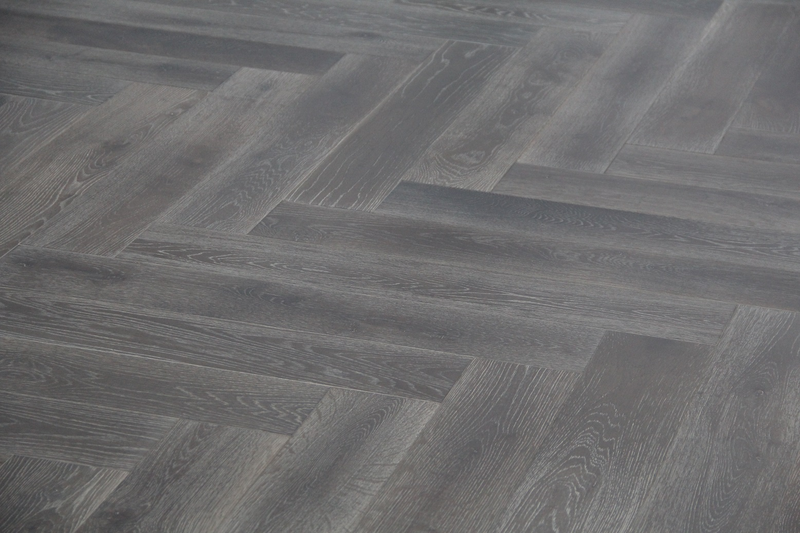 Today’s parquet has been given a contemporary twist to modernise it for the present day homes. 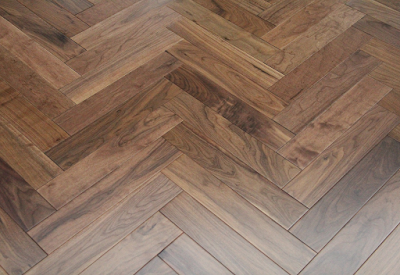 There is an incredibly broad range of parquet flooring on offer, so there truly is something to suit everyone. They come in fixed length, individual tiles, so can pretty much be shaped into any design that you like. It is important to ensure you have a specific design in mind before going into the fitting process as they can look a little cluttered and chaotic if proper planning is not put into place beforehand. 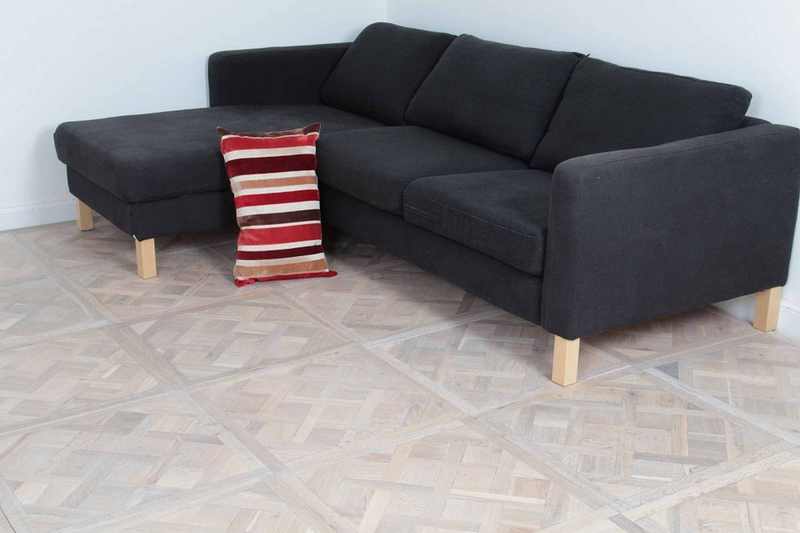 Parquet is incredibly durable, so is perfect for homes with high levels of footfall and heavy traffic. It won’t damage as easily as solid and engineered wood, so is a perfect option if you’re not only looking for a flooring that looks great, but that’s also incredibly reliable as well. It’s a long term solution for your home, as opposed to a short term solution that won’t last long. It’s also incredibly easy to clean, if you spill something simply wipe it up, it’s that easy. The above are examples of just two of the different options you get with parquet. They come in lighter and darker shades, and in a range of species such as oak and walnut. These examples show you Engineered Walnut flooring (left), and the stunning Engineered Grey Oak (right), patters such as these truly add something different to a room. Darker colours add a warm aesthetic, whereas lighter colours create the illusion of space, and add a brighter glow. You can see in this photo the distinctive zig-zag shapes that make parquet as unique as it is. This truly could be a perfect addition to any modernised home looking for a traditional twist. Not only does it looks amazing, and lasts you a long time, it’s incredibly cost effective. The warm colours can add a natural warmth to your home as the winter months roll in. We hope our guide has helped you to see how beneficial parquet can be to your home, good luck making the all important decision!